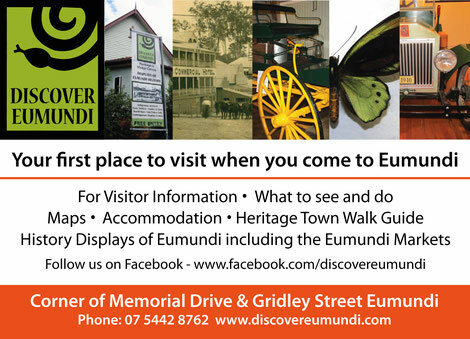 Discover Eumundi has many leaflets on what to see and do in Eumundi and further afield. A selection of maps are also available and volunteers can search on the internet if required for locations outside of Eumundi and the surrounding area. The Centre is a non accredited visitor information centre which is community run and funded and is not able to do bookings for accommodation.